”Love Yourself: Answer,” the latest BTS album, stayed on the main Billboard 200 album list for 22 weeks in a row, an updated chart showed Wednesday. The album, the latest in the “Love Yourself” album trilogy, came to 87 on the Billboard 200 for the week of Feb. 2, coming slightly down from 80th a week earlier. It marked the 22nd consecutive week for the BTS album to rank on the chart, since it debuted in early September. BTS also topped Billboard’s Social 50 chart, becoming No. 1 for the 81st week in a row, the longest in Billboard history for the chart. 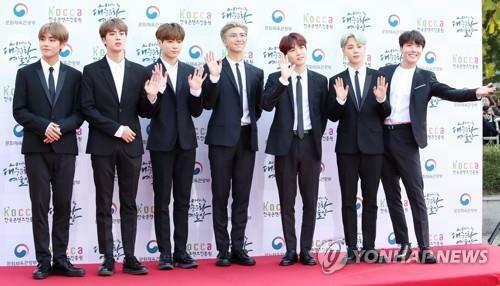 BTS is on its way to release a new album. The septet is also going on the last Asian leg of its world tour, which kicked off last year.